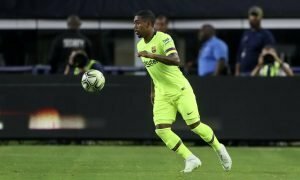 Arsenal ready to submit significant bid to land Europe's most lethal striker | The Transfer Tavern | Where football transfer rumours fly or die! Arsenal supporting punters here inside the Football Transfer Tavern are looking up with interest at the news coming from Metro – with the publication suggesting that the Gunners are prepared to pay a significant sum of money to land Borussia Dortmund striker Pierre-Emerick Aubameyang. The 26-year-old has been dubbed Europe’s most lethal striker by the resident punters here inside the Football Transfer Tavern, and it’s hard to disagree, as the forward has been simply sensational for Borussia Dortmund this season. 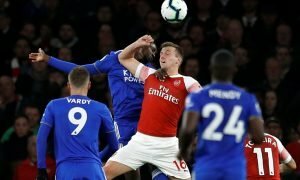 The Gabon international has scored an abundance of goals for the German giants this season, and it seems that Arsene Wenger is keen on a move for the striker, to help bolster their depleted attacking line. Our resident Arsenal fans enjoying a pie and pint here in the Tavern feel the striker would be a sensational coup for the club, and would undoubtedly make the side serious candidates for the Premier League title – however, they all agree that they cannot envisage seeing the Dortmund attacker in a Arsenal shirt anytime soon, unfortunately! Arsenal fans….. What do you make of this news? Would you like to see Aubameyang at the Emirates Stadium? Let us know your thoughts and opinions in the comments below!